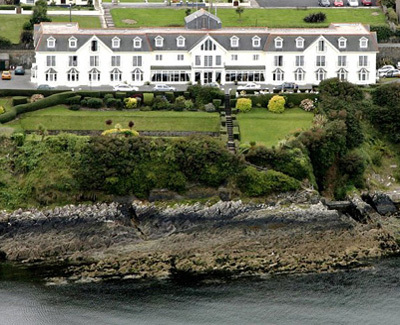 For over 700 years Bayview Hotel has offered haven to seafarers. However, you don’t have to be of sailing stock to appreciate . . .
For over 700 years Bayview Hotel has offered haven to seafarers. However, you don’t have to be of sailing stock to appreciate the hospitality of Ballycotton or the beauty of its bay. Today, the Bayview Hotel affords rest and retreat from the every day stresses of life, with its combining sense of comfort and style and the delights of good dining and attentive service. When your not relaxing in the comfortable atmosphere of the Bayview Hotel, there are plenty of activities to participate in. Pleasant gardens give access to one of Ireland’s loveliest bathing spots; in addition, there are miles of sandy beaches within easy reach. Also nearby are six 18-hole golf courses for the traveler whose interest lies in a sporting vacation. Unique to the area is Fota Island with its arboretum and wildlife park, the only one of its kind in Ireland. For a more active day out, visitors to Bayview can try their hands at sea angling and the challenge of shark, skate and conger. After a busy day of activities it’s back to the Bayview for dinner, good talk, fine wine and relaxation. A perfect end to a pleasurable day.